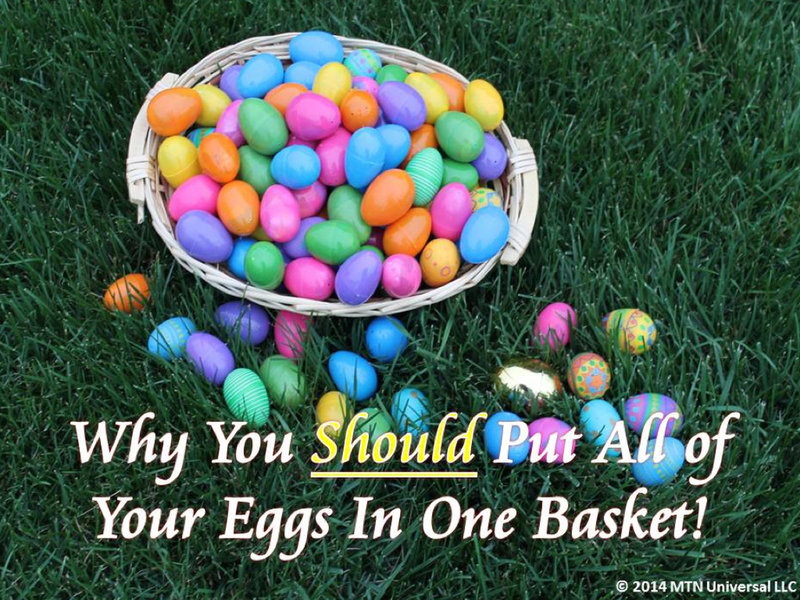 Why You Should Put All Of Your Eggs In One Basket! I agree, but with one exception. I find it very intriguing to know some of the things we put our trust in. Do you have any doubt if your alarm clock will wake you up in the mornings? Did you have any doubt that your car would start this morning? Do you check every set of chair legs before you take a seat? Do you check to see who will be piloting your plane before traveling? Many of these things, we don’t even think twice about. Two reasons: 1) Either we trust our assumption of what the expected outcome will be because of past experience, or 2) We trust in God. For me, I put all my eggs in the basket of my Creator, which is God. If you put money in the bank, you expect for it to be there when you need it. Why do we use this phrase? When we bank on things, basically we are declaring our trust in something. Faith is all about trust. Trusting in God has never failed me and it won't fail you. He has managed to prosper any and every part of my life I planned to put in His hands.